Last Thursday we mentioned how we had come across a hacker that had recently hacked numerous websites hosted with various Endurance International Group (EIG) brands. EIG does business through brands A Small Orange, Bluehost, FatCow, HostGator, iPage, IPOWER, JustHost and quite a few others. That the hacker was only hitting websites hosted with those brands stood out, since, if say, a hacker was exploiting a vulnerability in a WordPress plugin to gain access to them you would expect to see numerous different web hosts being represented. At the least, that seems to indicate that the hacker is targeting website hosted with EIG brands, which is possible explanation of that situation. What would seem more likely though is that the hacker is gaining access to some part of EIG’s systems allowing them access to all of the websites on a server. Considering the hacker was hitting numerous website sharing the same IP address, which would likely indicate they are on the same server, that seemed like a reasonable possibility. Proving that EIG systems are being exploited would be difficult without information they only have access to. Our past experience is that web hosts are rarely even willing to consider that they have been breached, much less admit that it has happened. As we mentioned in the previous post, things are worse with EIG, since they are run by the majority owners of a security company SiteLock and EIG gets a cut of security services sold by SiteLock to their customers. That creates an incentive not to provide their customers the best possible security and what we have heard is when contacted about a hacked websites that they just try to push their customers to SiteLock instead of doing any checking into the situation (that includes someone that contacted us last week that has the been hit as part of this hack). While doing some more searching around on the message left in one of the files we found on a website hit by the hacker (that is also on the other websites being hit), “Hacked By Isal Dot ID”, we found that a year ago the hacker was claiming to have full access to a server that a website had hacked was on. At the time of the hack that website was hosted on the IP address 192.185.142.185. The listed ISP of that IP address is Websitewelcome.com, which is HostGator. While the claim of a hacker isn’t necessarily reliable, it does raise further suspicion that there may be a security issue on EIG’s end. This seems like something they should be addressing. If you have been hit by this hacker and have gotten a response related to that instead of just being pushed to hire SiteLock please get in touch with us or leave a comment on this post. When it comes to claims that a website contains malware or is otherwise hacked coming from the web security company SiteLock or their web hosting partners our recommendations is to not ignore their claims despite the serious problems with false claims. Instead we recommend getting a second opinion from another company that deals with hacked websites. We are happy to do that for free and a lot of people have been taking us up on that offer. The first thing we do when contacted about a second opinion is to find out what evidence SiteLock and or the web hosts has provided as to the claimed issue. In doing that we have seen that in most cases the supporting evidence of the claim falls in to one of two very different categories. In the first they have provided a listing of examples of impacted files and in the other they provided no details whatsoever. So far we haven’t seen a strong correlation between either of those and veracity of the claim. In one recent instance where a website was really hacked they provided no information whatsoever, while the hacker actually provided helpful information. In response to our question about what evidence the owner of the website mentioned they had received none despite multiple calls a day, but they had noticed a couple of pages in the Google search results with hacked content. From that we already had a good idea as to what was going on. The only vulnerability that has existed in the core WordPress software that has been exploited in a wide scale in years (maybe close to a decade) was vulnerability that allowed modify the content of posts, which existed in WordPress 4.7.0 and 4.7.1. As long as WordPress’ automatic background updates were working properly this vulnerability was not a threat, as it was fixed with a new version well before the vulnerability started being exploited. That issue could have explained how a hacker was able to add that message to the pages they did. Based on all those things it wasn’t surprising to find that the website was running WordPress 4.7.1. At that point we recommend that the website’s owner update WordPress, undo any changes made to the post content, and see about making sure that automatic updates are able to function going forward. If SiteLock or HostGator had told them that in the first place the issue could have easily been resolved, but it likely wouldn’t have lead to a SiteLock sale, which is possible explanation why they wouldn’t do that. You might be wondering why a web host wouldn’t want their customer to be secured, the answer is in part that HostGator and other Endurance International Group brands received a lot of money when SiteLock sales are made through their partnership. 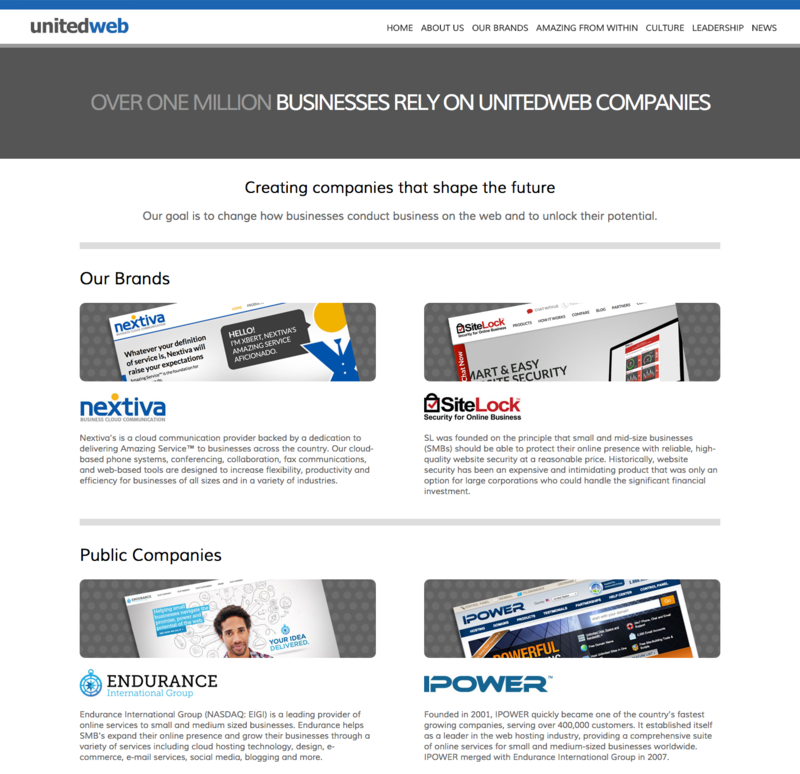 Another part of the answer is that SiteLock’s owners also run the web hosting company. The website doesn’t look to have contained any malware. The reason for the claim that malware was detected appears, based on our previous experiences, to be due to SiteLock’s malware scanner not just be used to detect malware, but any evidence of a hack, but any issue detected incorrectly being labeled as a malware issue. When it comes the really bad practices of the web security company SiteLock, they often involve their partnership with various web hosts. Considering that long ago we had seen that SiteLock didn’t seem to very good at handling security, whether it be not properly cleaning up hacked websites or not doing a basic security check before declaring a website secure, we had long assumed that these partnerships were not based on the web hosts believing that SiteLock was the best company to best help their customers, but instead based on the web hosts being paid to push their services. Those payments, it turns out, are happening, but they tell only part of the story of the partnerships with some of the web hosts. Last month while looking for some other information about SiteLock we can across the fact that the companies majority owners also are the CEO and a board member of the web hosting company Endurance International Group. That companies does business under the brand names A Small Orange, Bluehost, FatCow, HostGator, HostMonster, iPage, IPOWER, and many more. Through that we also found that in the case of Endurance International Group, not only were they getting paid for the sales of SiteLock services through the partnership, but they were receiving a majority of the fees as of fiscal year 2014. In the case of both of those facts, they were disclosed to investors, the ownership is disclosed in financials statements and the fee breakdown was disclosed in a prepared remarks for an earning conference call. To the public those things have not been disclosed in the normal course of business. And a recent interaction we had with HostGator support on twitter show that isn’t just that they don’t go out of the way to disclose them, but are actively trying to hide those facts. @andyschwartz Sitelock is a trusted partner of ours, we suggest Sitelock because they do work well with our services. Its worth noting that when it comes to cleaning up a hacked websites, you would do things the same way no matter the web host, so working well with their service is explanation that doesn’t make much sense for hack cleanups. It also worth noting, as we did before, that HostGator doesn’t make it easy to properly clean up hacked website since log files are not stored for a sufficient amount of time be default. If this was a real partnership and SiteLock actually properly cleaned up hacked websites, we would expect that issue would have been resolved a long time ago. 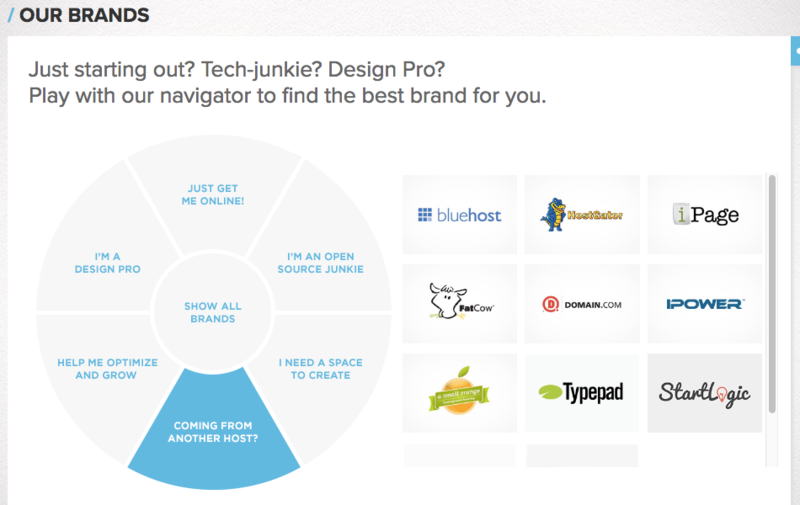 @whitefirdesign Hostgator has it's own CEO, who does not own Sitelock. @whitefirdesign Thank you for that clarification. @HGSupport Hopefully you will start disclosing that relationship and that you get paid when SiteLock services are sold to your customers. @whitefirdesign We thank you for your feedback, we cannot confirm this as fact, so we will offer no comment to your claim. We apologize. It is one thing for them to not mention what is going in the normal course of business, but to actual being unwillingly to tell the truth is pretty telling as to what is going on. @whitefirdesign We appreciate your feedback. We can offer you no other comment at this time. One of the bad practices we have seen from SiteLock is to claim that website are hacked when they are not, so if you get contacted by either of them with claim that the website is hacked you should get a second opinion. We are always happy to provide a free consultation on how to best deal with a hacked website, which includes double checking as to whether the reason the website is believed to be hacked does in fact make sense (often times other issues are confused with actually hacking issues and that can usually easily recognized by someone who deals with hacked website on a regular basis). Considering how bad of a job SiteLock has been doing with cleaning hacked websites as of just the last month and their bad practices you would probably be best off avoiding them when you are dealing with a hacked website. You also might want to consider moving to a web host that doesn’t partner with SiteLock, as that partnership seems like it is pretty clear warning of how they treat their customers and a lack of concern for security. 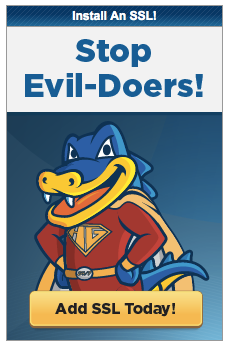 Who’s The Worse Party In HostGator’s and SiteLock’s Security Partnership? The web host HostGator has a partnership with the security company SiteLock where if your website is hacked HostGator suggests you hire SiteLock to fix it, which if you followed our previous post’s on SiteLock would seem like a bad idea. The actual results also back that up, as situation we we dealt with recently highlighted. A website we were going to be doing an upgrade on once HostGator changed the PHP version on the server, got hacked and was rendered non-functional due to it being defaced. 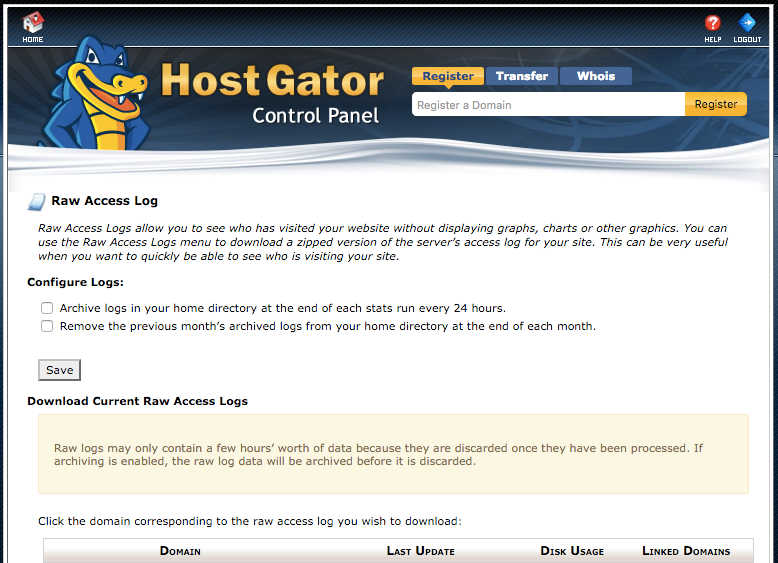 HostGator recommend SiteLock to clean up the website. Getting the website back up and running should have taken just a few minutes (by replacing the index.php file in the root directory), with a full cleanup taking a few hours. Four hours after they were supposed to have started it was still not functional and we were contacted to see if we had any suggestions. The website only became functional later in the day after the website’s developer followed our advice to replace the index.php file, by the next morning SiteLock had removed the defaced index.php file. When we double checked SiteLock’s work later we found that they had not removed a backdoor script, which allows a hacker remote access to a website, that had been added to a core Magento file in the root directory of the website. While things can be missed during a cleanup, this seems to be a case where corners were probably cut instead of an understandable mistake since a simple file comparison of the website’s file with a clean copy of Magento would have spotted that backdoor script. All this would point to it being a bad idea for HostGator to have partnered with SiteLock, but there are problems going the other way as well. Incidentally, if you are hosted with HostGator or another web host that uses cPanel, now would be a good time to make sure you have archiving enabled in cPanel. Posted on March 29, 2016 Categories Bad SecurityTags HostGator, SiteLockLeave a comment on Who’s The Worse Party In HostGator’s and SiteLock’s Security Partnership? It seems like they marketing something they don’t really understand on basic level, which leads to the aspect we find more troubling than there odd phrasing, the claim that SSL keeps sensitive data collected on your website safe. To understand why, first it helps to have a basic understanding of what SSL is. SSL is a series of protocols for transferring data from one location to another in encrypted form. An SSL certificate is used identity that that the SSL connection is in fact being made to the website you are connecting to. SSL should protect against someone gaining access to data being transmitted from a customer’s computer to a website while it is being transmitted, but that is where SSL’s role ends. Once the data is decrypted on website’s end its safety relies on the website being otherwise secure. If someone were to believe that getting SSL certificate is going to keep the data safe, they would be more likely to not take the other measures they need to keep that sensitive data secure (which isn’t an insignificant issue these days). On top of all of this you can get an equivalent SSL certificate from other providers for significantly less money.